You’ve found the “Magician For Hire In Buckinghamshire” page of Simon Alexander. This page is purely about my performances in Bucks. But you can find out more about me and my magic from my Professional Magician Page. You can also get a feel for my performances from my Magician Showreels. I am a full-time professional Magician for hire in Buckinghamshire. So I perform Close-Up Magic and Stage Magic at Corporate Events, Private Celebrations, Weddings, Corporate Christmas Parties and Trade Shows. To find out what previous customers think, take a look at these reviews from private and corporate clients. 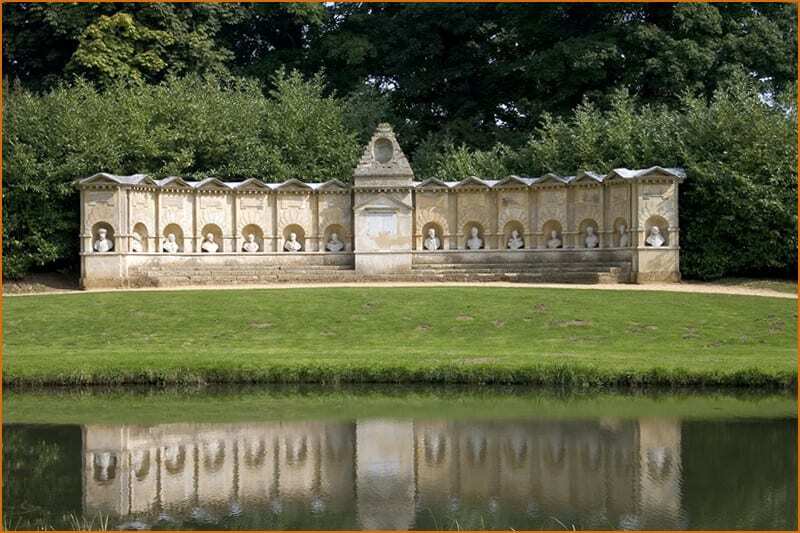 The Beautiful Stowe Gardens at Stowe, Buckinghamshire. Buckinghamshire is a diverse county with a huge variety of venues to choose from. As a result, I’ve worked my magic at many of the county’s top venues. These include Pinewood Film Studios and the beautiful Notley and Missenden Abbeys to name just a few. Favourite regular performances include the towns of Aylesbury, and Marlow. So, as you can see, I’ve performed at all manner of corporate and private events throughout Buckinghamshire. So you can feel confident that your important event is in safe hands. For further peace of mind, I am a member of both The Magic Circle and Equity. These are badges of true competence in the world of professional entertainment. Get in touch to find out how your event could benefit from a Magician for hire in Buckinghamshire.